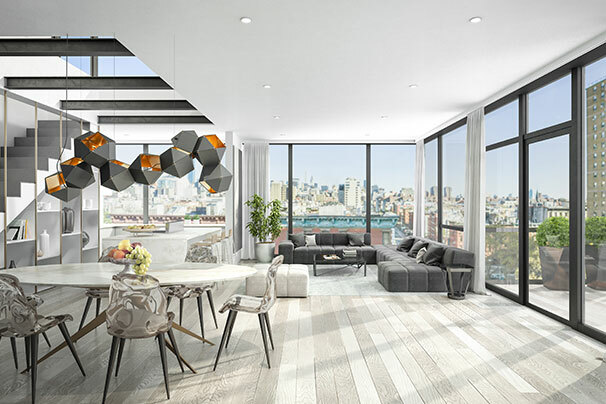 Located in the vibrant East Village, 75 First Avenue is a mixed-use residential building with ground floor retail space and 22 residential units dispersed throughout its 8 stories. 75 First Avenue features a striking nearly all-glass façade and French-designed interiors by Stefano Farsura. 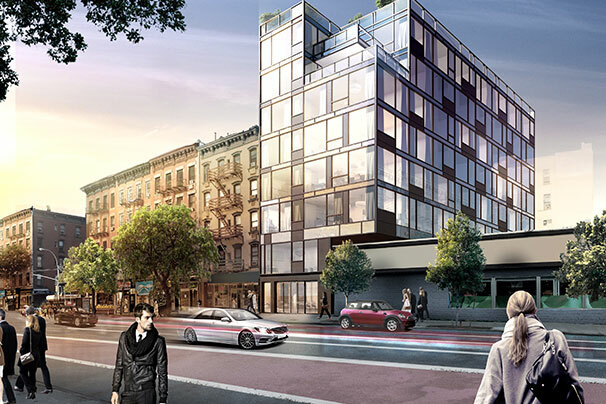 Residents will enjoy a fitness center, lounge, private and common terraces, storage, bicycle storage, and a doorman. For our clients at the Colonnade Group & Orange Management.